Choose our company to service your glass garage doors in Port Moody! Call us if you are interested in getting new ones. Our team is trained to install, fix, replace, and maintain glass doors regardless of their size, type, and brand. At our company, we also provide you with new doors at the most competitive costs in Port Moody, British Columbia. So, whenever you want new doors or to service the existing ones, get in touch with Garage Doors Port Moody. All glass doors are special! But which one will be perfect for your garage? Let us help you with such tasks. At our company, we assist our customers to make the right decision. Do you want a new glass door but don’t want to compromise your privacy? There are solutions for all requests. In such cases, you can choose between sand blasted glass options. From laminated and obscured to milk glass, we provide choices for all preferences. Most glass doors go well with an aluminum frame. Such frames are elegant and make the door even stronger. As for the glass, it is also strong since it is made of a special safety glass, which is tempered and processed to remain resistant to impact. Why should you choose glass garage doors? They are elegant, increase property value, and are moisture resistant. As for glass garage door installation, you can count on our skills. Our experts have been installing all types of glass doors for many years. We have experience but are also updated and so we can install the most modern doors and electric operators. Problems with the glass panel, opener, or parts? 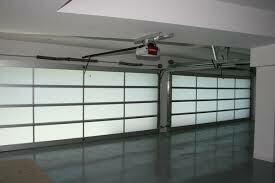 Turn to us for garage door service. With years in the repair business, our techs are ready to address any problem. Our vans are properly equipped and so we can replace any broken and damaged part, adjust the door, and do any repair needed to fix problems. Our company is available to help you out, offer solutions, and provide you with the best glass doors and their services. So, if you need professional help and the best techs for Port Moody glass garage doors installation and repair services, get in touch with us today.